Home » Sports » Did the Clare GAA learn anything? Did the Clare GAA learn anything? 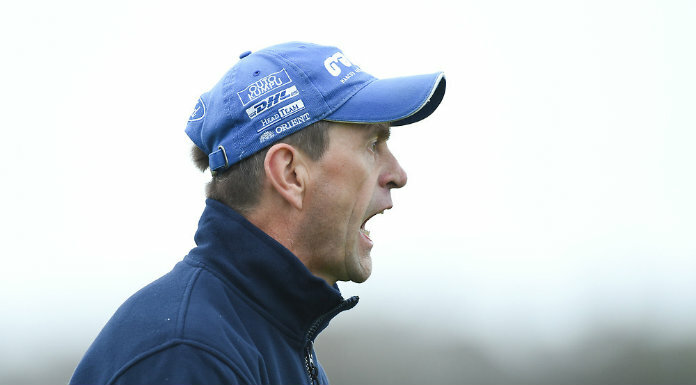 CLARE GAA hasn’t learned any lessons from the recent dispute which led to the resignation of senior hurling manager Mike McNamara. That was the view expressed by Sixmilebridge chairman PJ Fitzpatrick who criticised comments made by the secretary, Pat Fitzgerald, in his annual report to last week’s county convention. “There is a fairly strong attack here on the actions taken by the players. I don’t have a clue what went on and I am uninformed, but I believe we haven’t learned any lessons and if you don’t learn lessons we could find ourselves in similar positions again,” Fitzpatrick said. “When something goes wrong we have to look at ourselves. Looking at how the delegates here and the officers handled this – I’d say that in hurling terms we wouldn’t be left on the panel. While I don’t condone the players’ actions, I do wonder if we boxed them into a corner. The signs were there from the start of the year, three obvious signs. Firstly – the performance of the team; I am not blaming anyone for that, we have all been over teams. Second, some of our most diehard supporters were very unhappy at the end of the league campaign. Thirdly – there were mutterings from the camp. The onus was on us, as delegates, and the officers to take pro-active steps. We didn’t do that and it dragged on and on,” he said. Fitzpatrick went on to remind all present that at the August meeting he had proposed a committee be set up to review the performance of the senior team and management. “If that group met the players, saw the issues, met the management, got their responses, you might have been able to isolate and decide that some of those were frivolous,” he said. “It ill becomes us to lacerate our players because these are the same players that we hopped over the fence below in Thurles to clap. Next year we will ask them to sweat blood and to give every last ounce in their body to bring back the glory days. If we expect them to do that we have to treat them with respect. I haven’t a clue what went on but I do know that we took no proactive steps whatsoever”. County Board chairman Michael O’Neill also felt the brunt of Fitzpatrick’s barbs, criticising his approach to democracy in the election of a replacement for Mike McNamara. “A point on democracy. It’s the clubs that decide. You cannot say that when you call a meeting to appoint a county manager. You inform people at four o clock in the evening that it’s on and then you propose it and it’s expected to go through. “Were it not for the fact that it was objected to it would have been passed. Sparrow O’Loughlin is an outstanding candidate and nobody in the hurling world would not but endorse him but it’s not the way to do business. “You cannot speak about democracy and that system in the same breadth. This is not to score points on anybody because that is futile. Are we all in this together? I believe we are. We have to work the way forward, we have to build review systems into it and we have to head off problems before they become major. We do not want to go through that again and neither do you. We have to look at ourselves first”, he said. In response to Fitzpatrick’s comments, secretary Pat Fitzgerald said that nobody had done more to bring things together. “I started last August and had communication on a regular basis with the players, I spoke to them every week. I asked for two things – do what you like, get what you like. We do not want confrontation or conflict. The pity is that we did our business in public. That’s my regret. If you go through the comments I have made, that’s the comment which runs through. Nobody has more respect or never had for players,” he said. The secretary added that he wanted to put a few other issues to bed. “That they were eating sandwiches out of a booth of a car is rubbish. Let me say quite clearly and categorically – never, never. “We have a contract with a particular hotel and the players have always had the opportunity to have hot meals after training and many other times. There were days when there were three meals around game time. Look at the costs. I did an analysis from the day they started in 2007 until they finished in 2008. “If you were to work on a seven-day basis it cost €1,766 per day. It’s important that people realise what is going on. Comments are unfair. If you want to ask a question, ask it. We should have kept it in-house. I respect what the players have done. Nobody has fought more for players. I hope if it happens again, we can deal with it in-house,” he said. The secretary went on to say that his reference to demarcation lines “is not being over-authorative If we don’t work together we are going no place. Chairman O’Neill added that he wasn’t aware of any disgruntlement amongst the players. “I would have asked a number of panel members at the time. I gave every panel member, 34 of them, the opportunity to come in and deal in a confidential fashion and discuss any problems they might have with us as a board. We have our flaws and we make mistakes and we are quite prepared to rectify these,” he said. In response to Fitzpatrick’s claim that he (the chairman) hadn’t acted on a proposal made by the Sixmilebridge chairman back in August when he suggested the setting up of a committee with a number of former inter-county players, O’Neill said that he had acted on the proposal and that the committee was put in place and included two former county players,” he said. He added that “at least 12 to 14 former players declined to get involved in the committee. In due course I will make the facts of that report known. It’s very confidential. I have tremendous respect for all of the players and the management. All our meetings were cordial and constructive. We spoke openly and frankly about everything. We have a good relationship with the players. It mightn’t be seen that way from outside but I can pick up the phone to any player and talk to them and I have done that,” he said. CONTINUITY in the running of competitions can be achieved with the cooperation of all involved was the message from Clare GAA chairman Michael O’Neill to delegates at last week’s County Convention. Dealing with finance O’Neill said that, despite the fact that the country is enduring extremely difficult economic straits at the moment, he had to compliment the prudent way the county’s financial affairs had been run in 2009. “It is no secret that 2010 is forecast to be even more difficult than the one just past and we will have to adjust our expenditure downwards into the future,” he said. “Much has already been said and written about the performances of our inter-county teams during 2009, it certainly was not a good one for our senior teams in particular. However, it must be pointed out that no effort was spared in the preparation of our teams, either by the mentors, the players or the board. We need to learn from 2009 and move on,” he said, adding that meetings will be held in January to debate hurling and football issues relating to club and county. Turning to the county’s historic All-Ireland U-21 success, O’Neill paid tribute to everybody associated with the winning of the county’s first ever Munster and All-Ireland titles, particularly the management team, the players and the backup team. “Our new coaching and games structure is up and running. 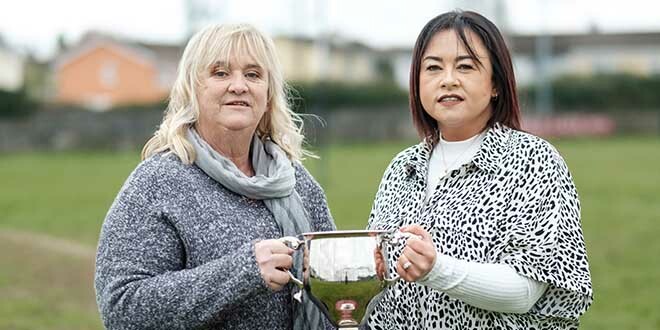 It is a very streamlined operation but it will be up to the clubs of the county to work in conjunction with the coaches and the schools in the parish,” he said. The chairman also urged all in Clare GAA to help make Féile na nGael a success as it will also be a major boost to the county overall. Remembering those who passed away during the year, O’Neill had a special tribute for former chairman Fr Michael McNamara. “He was an inspiration to us all, whether it was through his work as teacher, GAA administrator or in his role as a priest, he carried out his work with dignity and distinction. He had a tremendous ability to bring everybody along with him and he had the highest of respect for everybody’s opinion”, he said. Before concluding, the chairman congratulated the various competition winners in the county and had a special word for Cratloe on their success in winning the Munster club of the year award.